Alright, so the first in the category is Canada Ornament. No surprise it looks exactly like his bigger brother – Canada 2 YAH. 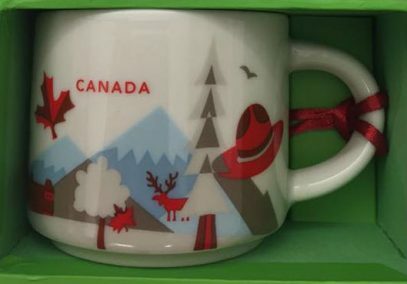 This mug was already spotted in Vancouver and Calgary. Not sure about you, but I am heading to the nearest Starbucks store tomorrow to grab mine.